Even if they were bringing the bodies of dead migrants ashore a few minutes from where you live, you’d still brew up coffee and cook dinner with the radio on. Your kids would still do their homework and get to school in the morning. Life would go on – not necessarily oblivious to the crisis unfolding on your doorstep, but existing at some remove from it. 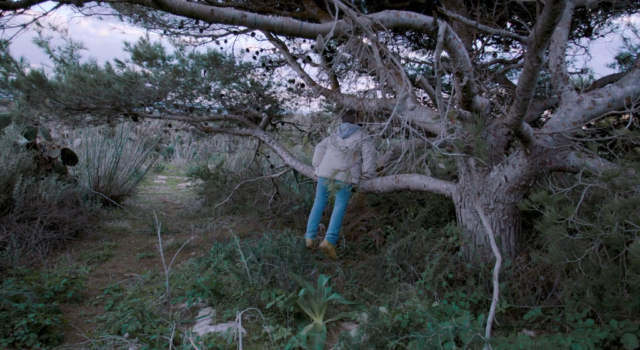 That’s the troubling situation revealed in documentarian Gianfranco Rosi’s portrait of the current migrant crisis as visited upon the tiny island of Lampedusa, a little corner of Italy whose proximity to north Africa has made it the first European port of call for some 400,000 migrants in the past 20 years. Rosi’s ever-patient camera captures the valiant work of the Italian coastguard in intercepting the little boats laden with hundreds of men, women and children who’ve braved this perilous passage, not all of whom make it to shore alive. 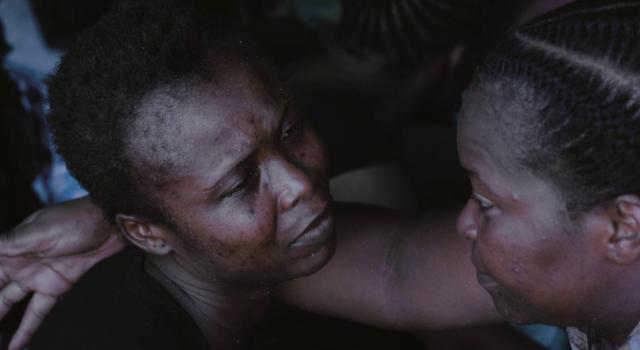 The film records the evident distress of those largely African migrants who’ve suffered barely imaginable privations along the way, while also registering the careworn response of the island’s only resident doctor, whose profound humanitarian sense of duty has left him haunted by the horrors he’s seen. At the same time, though, Lampedusa’s fishermen mend their nets, the local radio station churns out a steady flow of sentimental ditties, a grandmother tends house with absolute devotion, and a young boy named Samuele takes great delight in aiming his catapult at the tiny birdlife in the rugged countryside. On the face of it, these folk share little sense of connection to the global tragedy unfolding close by. As Rosi’s film bears witness, the issue isn’t even one of compassion, it’s more a question of an expanded consciousness from which compassion, and perhaps even political engagement, might spring. Considering the fairly ample newspaper and TV coverage given to the migrant crisis occurring at various points in the Mediterranean, it would be easy to presume that Fire at Sea is telling what’s by now a sadly familiar story, but Rosi’s whole aesthetic operates in a way that’s quite different from reportage’s information-driven approach. For him, the key to entering the lives of others lies in making time to take in their environment, whether that’s the Rome ring road in Sacro GRA (2013), the River Ganges in Boatman (1993), a forgotten corner of the Californian desert in Below Sea Level (2008) or even the microcosm of an anonymous hotel in El Sicario, Room 164 (2010). Here, he’s fascinated by the parched, rocky terrain of Lampedusa, its mazy trees, empty village streets and the ever-changing seascape enveloping it – all laid out calm, composed frames. He doesn’t make a fetish of shot duration in the slow-cinema manner, yet his film allows the contours of contrasting lives to emerge from these surroundings: he accompanies local boy Samuele (typically, it’s more than half an hour before we even learn his name) and his trusty catapult out into the scrub, but also follows the rescue process, from desperate radio message to naval interception, retrieval and on-shore reception of myriad dehydrated and exhausted migrants. There’s a certain reserve to all of this, since Rosi is not one to stick a microphone in anyone’s face. Indeed, there are only a handful of moments when the participants address him behind the camera, so even though we’re obviously watching a construct, there’s less a sense of a news story being hunted, gathered and pieced together for maximum emotional impact than an impression that we’re an invisible observer of events that would be happening in exactly the same way were Rosi’s camera not there. For that reason, some viewers may find the film slightly frustrating, and be eager to know more about the individual stories behind the haunted looks of the migrants rescued just in time, and possibly rather less about the somewhat horrid little Italian scamp who takes such delight in firing an imaginary machine gun and making noises to match. There may be those who find the portrayal of the migrants somewhat depersonalised, that the footage of these huddled masses being shuttled hither and thither makes them seem anonymous and thus unknowable. That’s an attitude you’ll see played out throughout Rosi’s work; the fact that he acts as a one-man crew and develops trust with his subjects makes each film about whatever those subjects choose to give of themselves, rather than what Rosi can take from them. The extraordinary confessional that is El Sicario, Room 164 – Rosi’s encounter with a Mexican cartel henchman and his blood-soaked past deeds – is an obvious case in point, but just as remarkable here is Rosi being allowed to eavesdrop on a prayer meeting at which a group of African migrants give thanks for their deliverance. As one of their number narrates the saga of their harrowing journey from Nigeria, his fellows sustain a rising and falling gospel chorus that supports his need to speak and own what they’ve all been through. One can’t fail to be moved by the sheer resilience of these migrants, yet at the same time it’s very clear how far removed their experiences are from the daily lives of most Western viewers. Rosi has absolute respect for his subjects, even when we see them here at their most vulnerable, in states of physical and emotional disarray, and he makes no pretence that pointing a camera at them will magically allow us to bridge that gulf of consciousness between them and us. 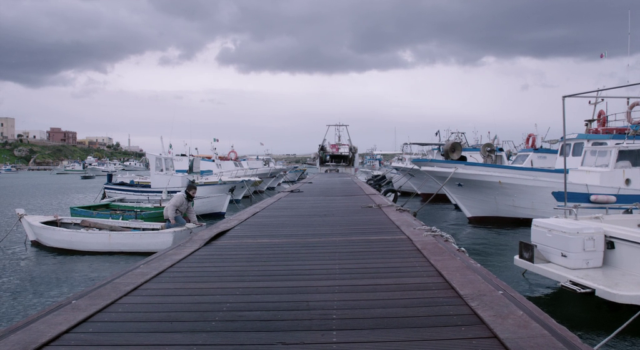 Indeed, from his first featurette Boatman onwards, the challenge of finding a meaningful connection between audience and subject has been his overriding theme, taken to an extreme in El Sicario, and played out in Fire at Sea in the way the Lampedusa locals’ daily round is utterly untroubled by the traumas of the ongoing crisis happening nearby. 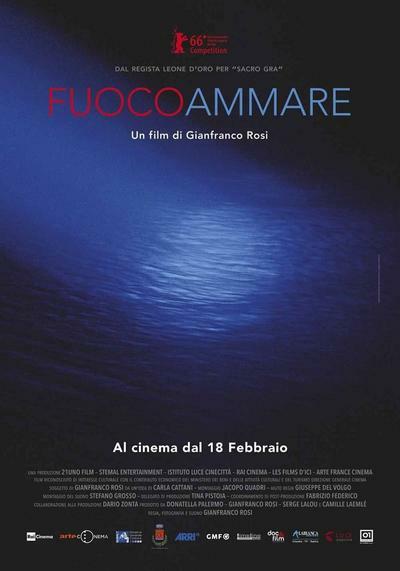 What we see of the dedicated work of the coastguard and the Italian authorities suggests no lack of compassion and commitment among those on the frontline – the testimony of Lampedusa’s only GP proving particularly affecting – and although Rosi is not specifically accusing of Samuele and his presumably typical family, their unruffled presence in so much of the film effectively prompts the viewer to question their own attitudes and ponder whether their own consciousness might expand its horizons. 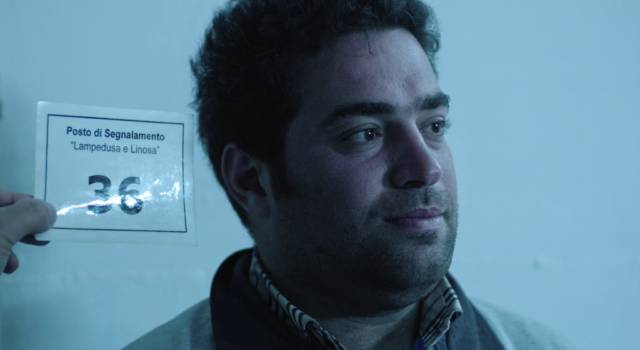 It’s mere chance that in the course of filming Samuele is treated for a lazy left eye, but the pointed significance of his partial sight not passing images to the brain is metaphorically spot-on and thought-provoking. Overall, Fire at Sea is a genuine triumph for Rosi, its distinctive formal strategy respectful of its subjects and offering a perfect expressive conduit for the director’s characteristic musing on how film might bring points of contact between seemingly distant poles of human experience. It may not grab you by the lapels and preach to you, but its quiet intensity ultimately offers more satisfying rewards, exquisitely enhanced by Rosi’s painterly eye for Lampedusa’s magical vistas of land and sea. 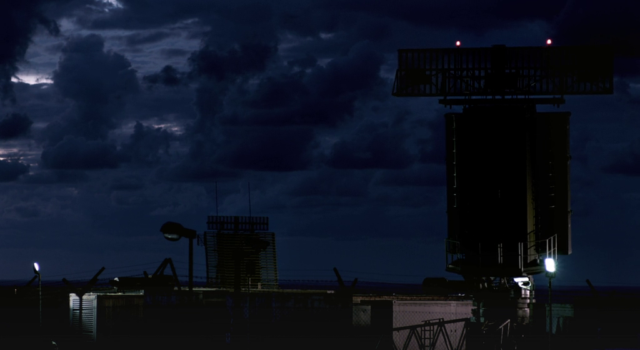 At its culmination, Rosi’s film enters the heart of darkness, confronting the utter horror of the migrants’ seaborne sufferings, a harrowing moment followed by a beauteous image of light playing on silvery waves, truly a pillow shot for the ages. Moral courage and filmic artistry exist side by side in this essential offering from a director gradually earning the right to be thought of as one of the greats of our era.